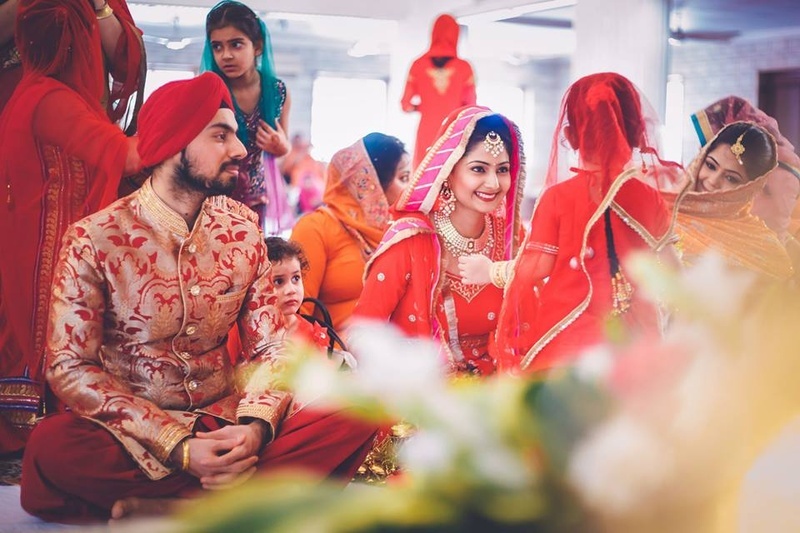 As sweet as the sound of their rhyming names, Upneet and Vineet's wonderful wedding ceremony also serves as a great treat to the eyes! 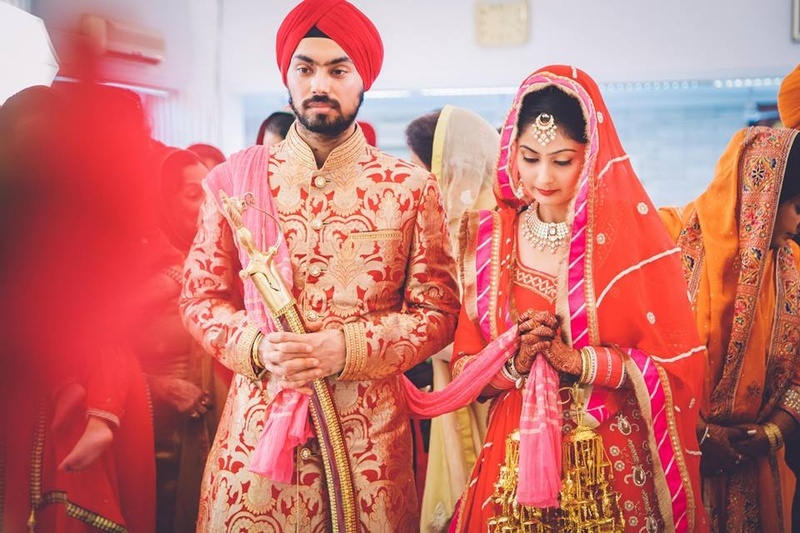 Their pictures, captured by Girl in Pink Photography, will simply make you fall in love with them. 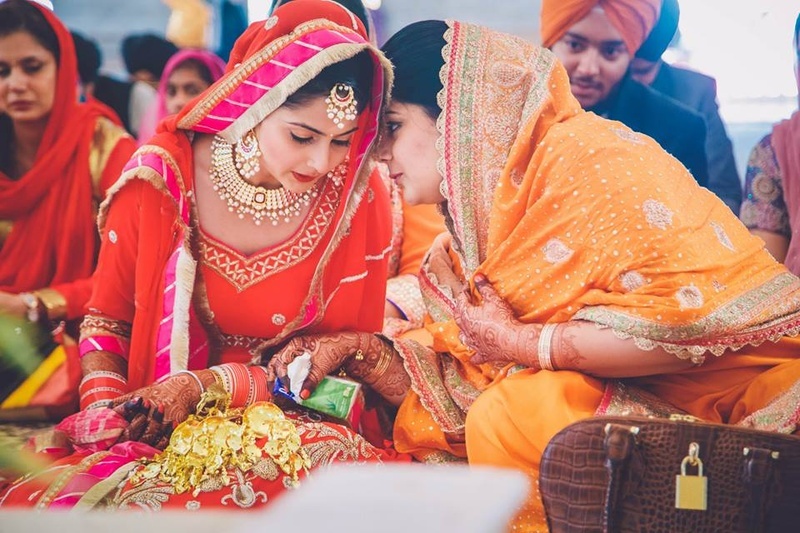 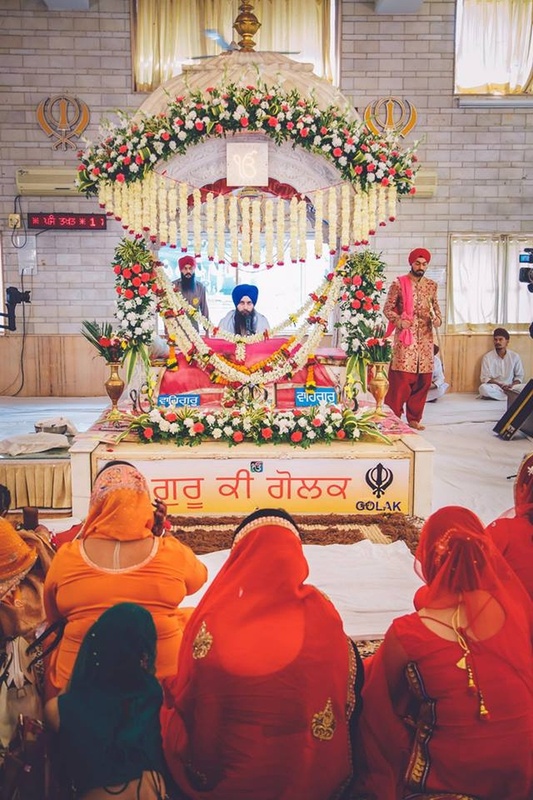 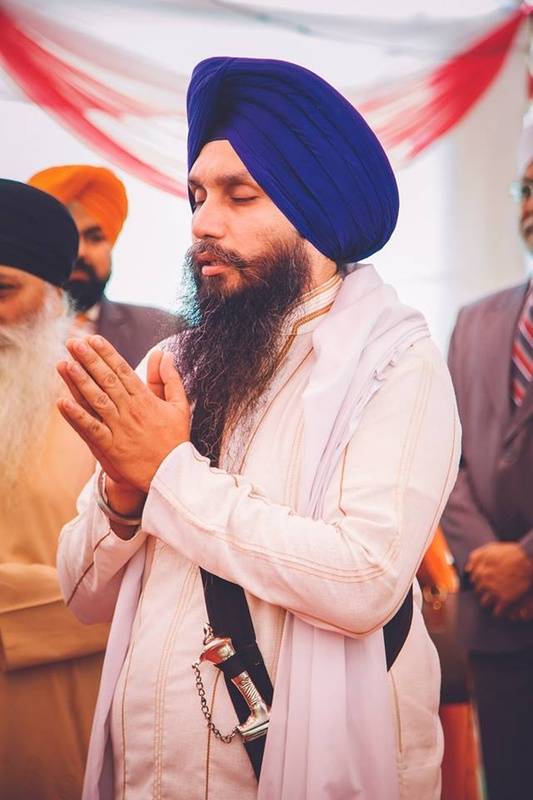 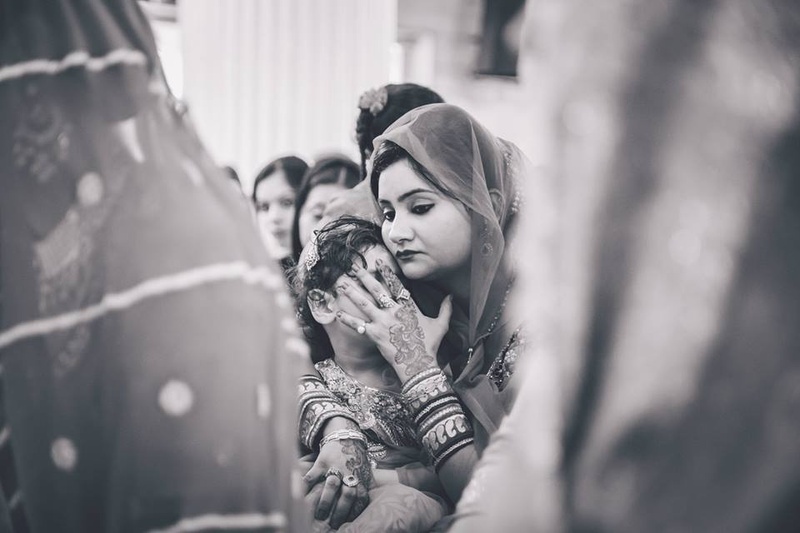 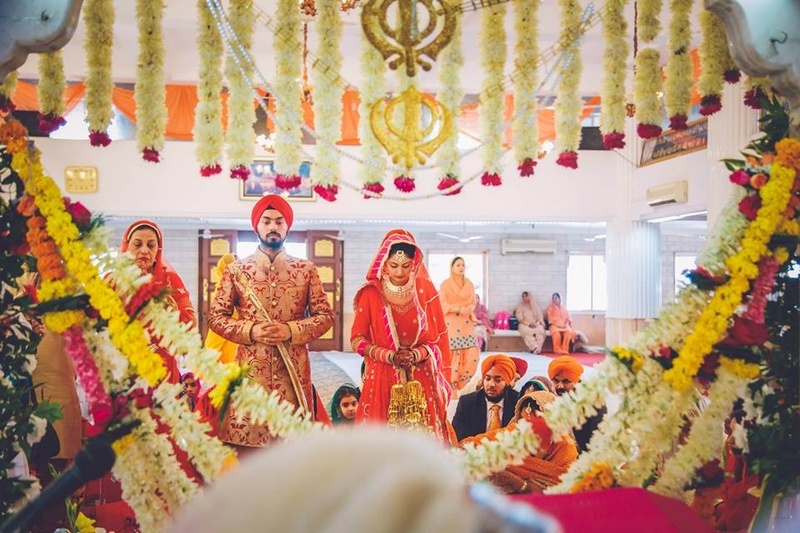 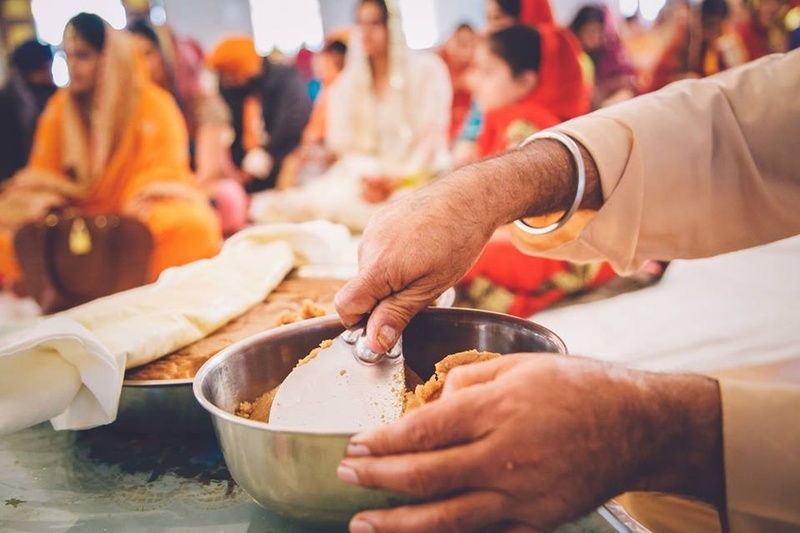 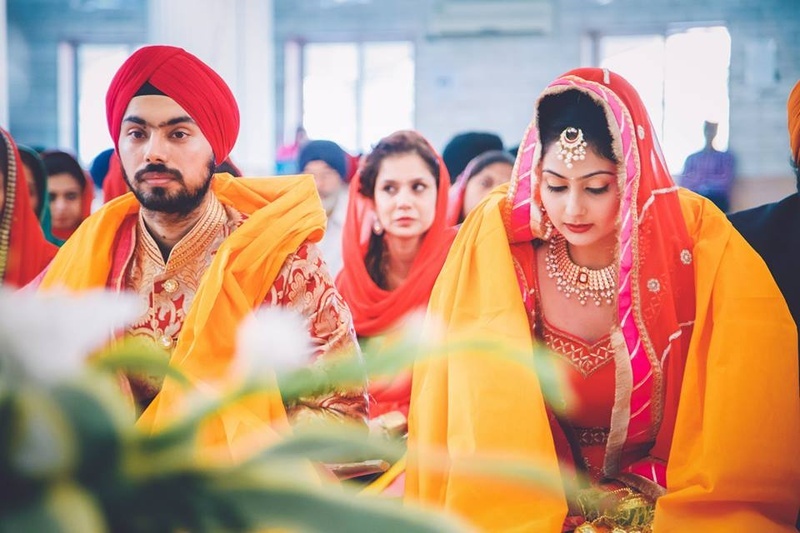 In a simple yet elegant Sikh wedding ceremony, Upneet and Vineet sought blessings of the almighty in the peaceful atmosphere of a Holy Gurudwara. 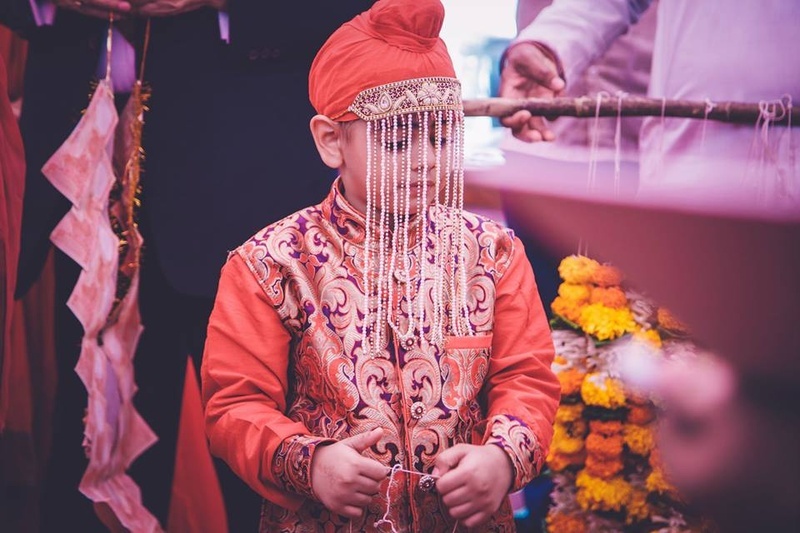 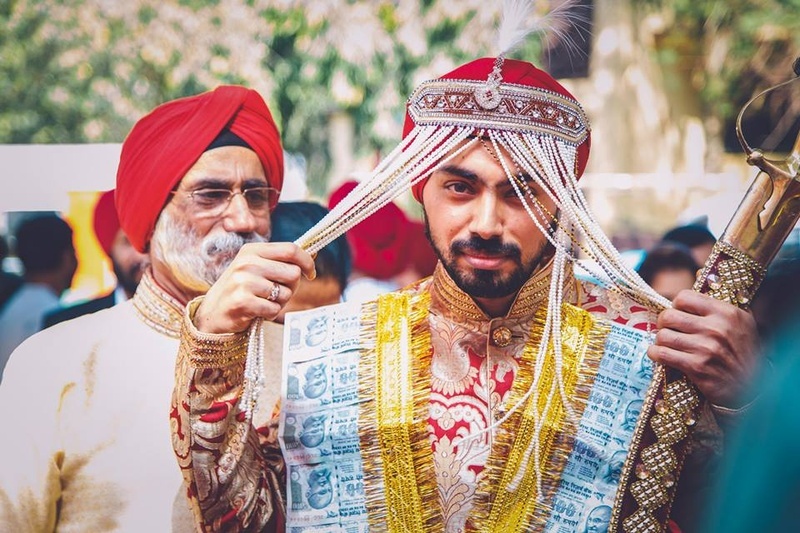 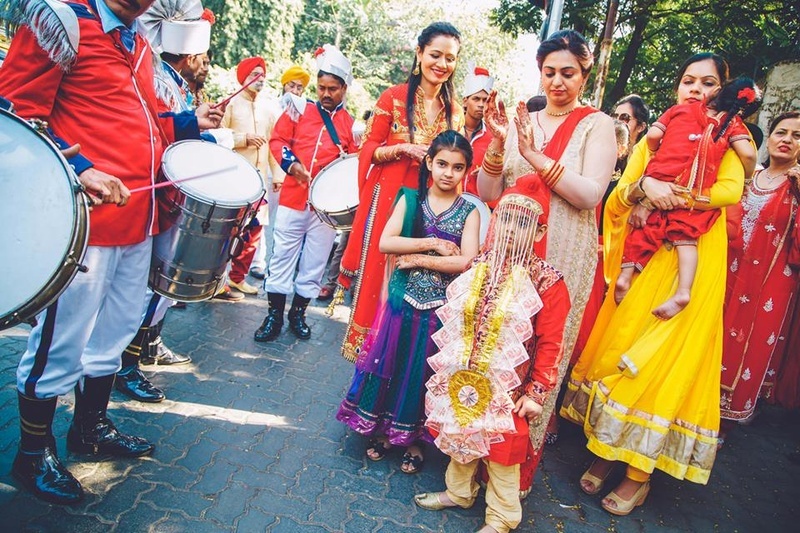 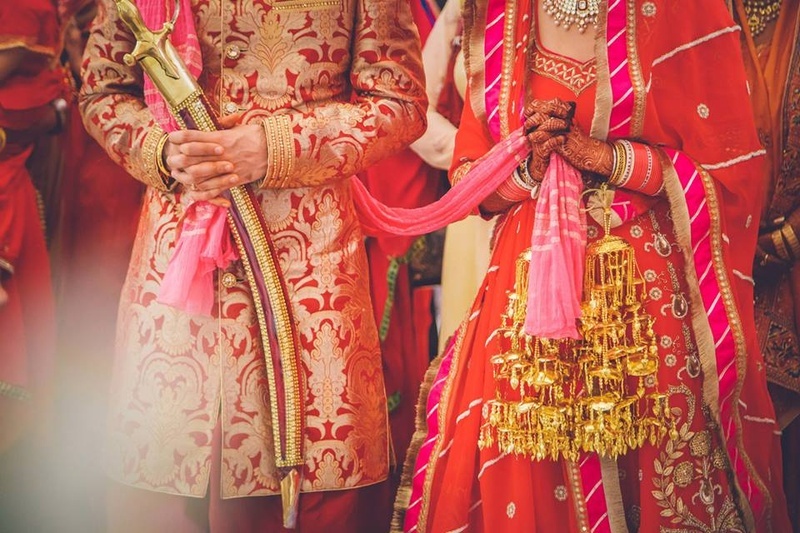 The groom arrived at the wedding venue with band, bajaa and baraat, in a gold and maroon sherwani, holding a ceremonial Kirpan that gave him a King-like appearance. 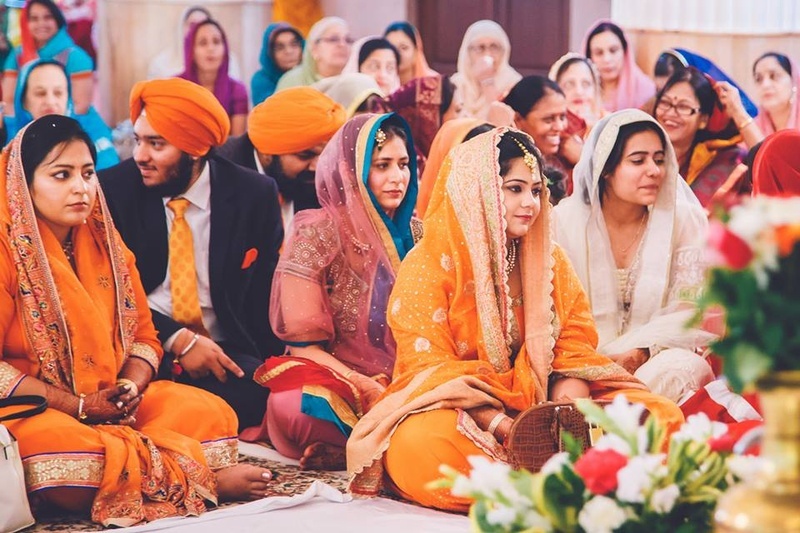 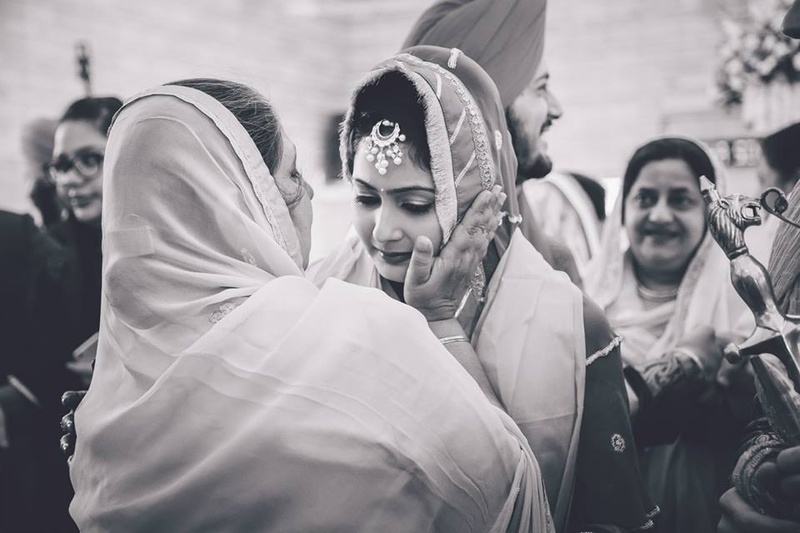 With Vineet's dupatta grasped in her hand, Upneet entered the Gurudwara with her entire family for the Anand Karaj Ceremony. 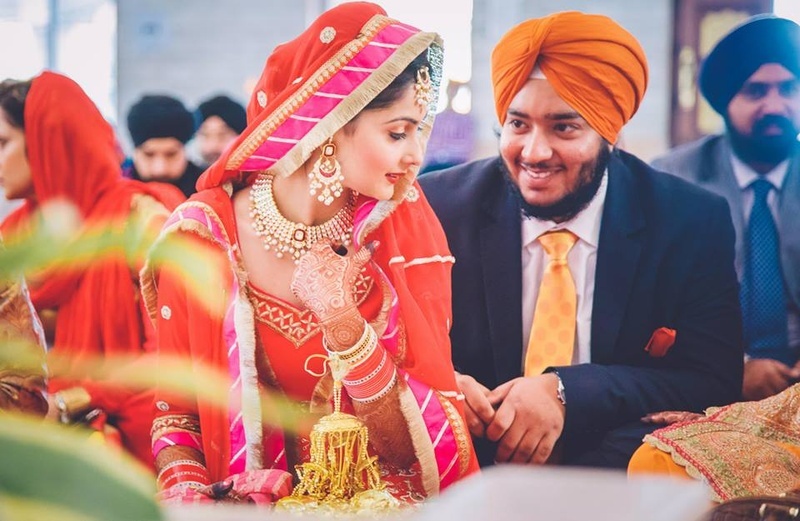 She looked ravishing in her traditional gold and red bridal suit and adorned a matching maang tika, earrings and neckpiece with a smile that lit up her whole face. 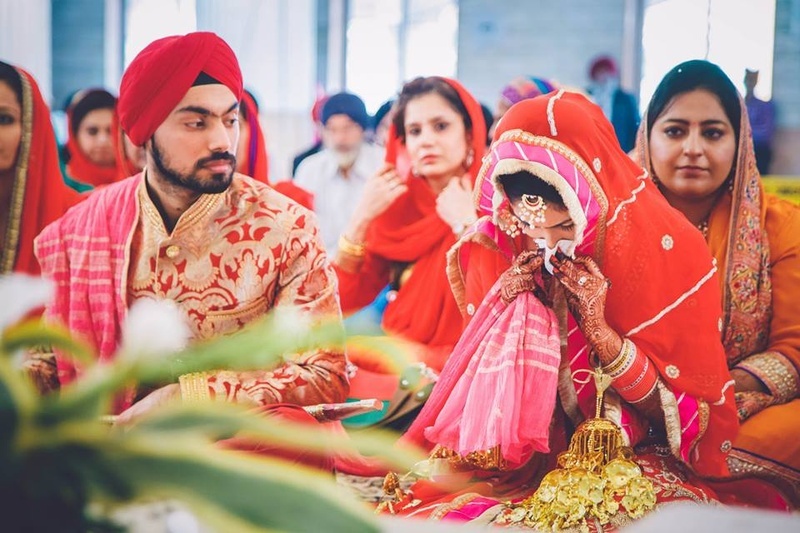 An expert at shooting indoor weddings, Girl in Pink Photography captured every precious little moment from their wedding perfectly. 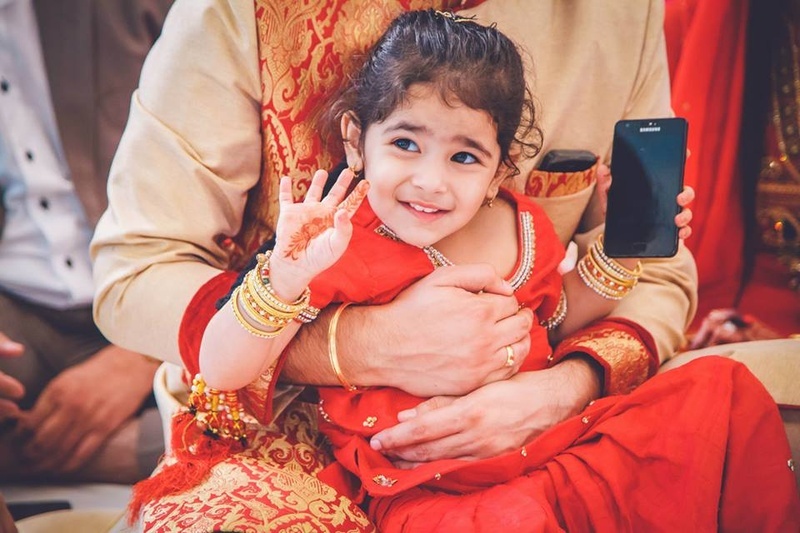 Let’s have a look at a few of them here.